When someone says they are going to beauty school, most people picture them as a hair stylist or a makeup artist. But there are many fun and different careers that you can pursue after heading to beauty school. One fun career choice that you may not have considered is a nail technician. Being a nail technician means that you are free to be creative and provide people with a service that they will love. At Designing Beauty Academy in Windsor, we offer a nail technician program that can help you learn different techniques and skills that you will need throughout your career as a nail technician. However, there is more that goes into being a nail technician than having the steadiest hand and knowledge on how to do apply acrylics. In this blog, we are going to cover some of the other skills that are important to have if you choose a career in nails! 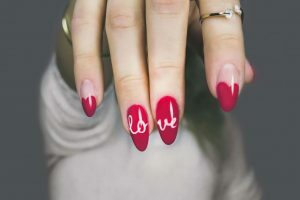 As a nail tech, you will spend a lot of time throughout your day carefully adding details to the smallest of canvases. Doing someone’s nails is not a quick and easy job. You have to pay attention to the details and be patient with your clients. Even a single nail treatment can involve multiple tasks. If you don’t have patience, you may want to consider a different path in beauty. If you are pursuing a career in beauty, it is likely that you are creative. As a nail technician, you have to be very creative and find joy in using your artistic side. Once you begin to gain a client’s trust, they will come back to you again and again. If they like what you do, they may ask that you come up with something new and exciting for them. You have to use your creativity to come up with something unique and stylish. We all have been to a nail salon where the technicians did not say a single word to us during the actual treatment. Not all of us have been to one where the nail tech converses with us throughout the manicure. While you may enjoy not talking during your nail treatments, not every client is the same way. Have good people skills and being able to talk to the client who does want to have a conversation will help you become more successful. You should also have great customer service skills. In short, be friendly and helpful to all of your clients! Everything in beauty and fashion is always changing. Nail trends are no exception. To keep up with competing nail salons, you will want to keep up-to-date on the latest trends. Staying trendy is a skill, but staying ahead of them is an even more difficult skill to master! It will also help with your success as a nail technician. When you suggest the newest trends to your clients, they will keep coming back for more! If you are considering a career as a nail technician, you will want to work on some of these skills! They will help you throughout our program and in your nail technician career! Sign up for our program today or contact us to learn more!